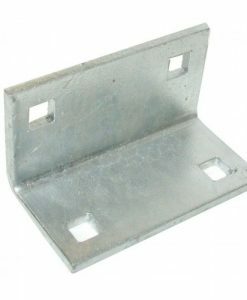 This 2″ mud foot is manufactured using quality 1/4″ fully galvanized steel. 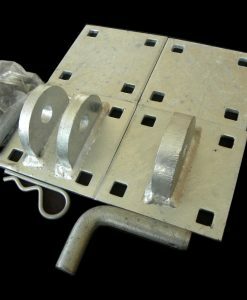 The pipe has a 2.5″ outer dimension and a 2″ inner dimension. 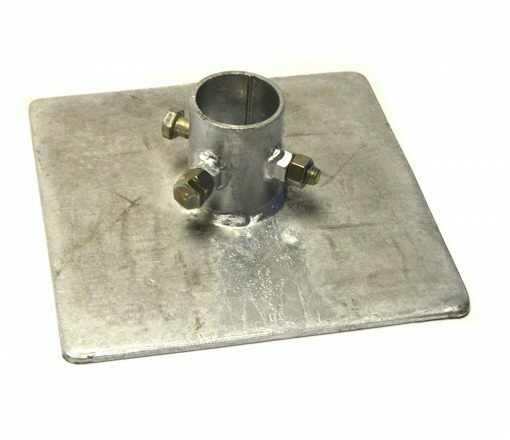 The holder is quality welded onto a 10″ x 10″ galvanized steel base plate. Includes (1) 1/2″ pinch bolt and (1) 1/2″ through bolt for securing your pipe. 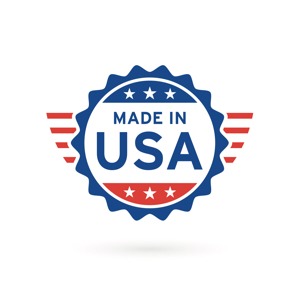 This part is proudly manufactured in the USA. Pipe holder measures 2.5″ outer dimension with a 2″ inner dimension. 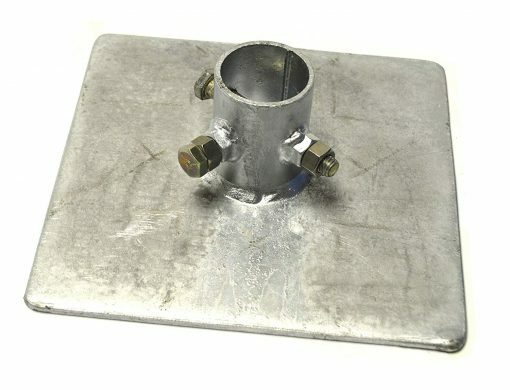 Pipe holder welded onto a 10″ x 10″ base plate. 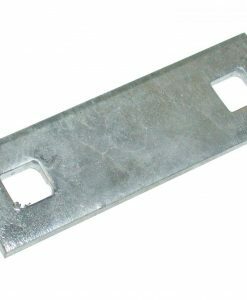 Includes (1) 1/2″ pinch bolt for securing your pipe. 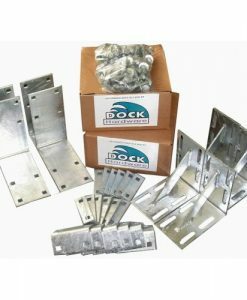 Heavy duty full galvanized 1/4″ steel construction.